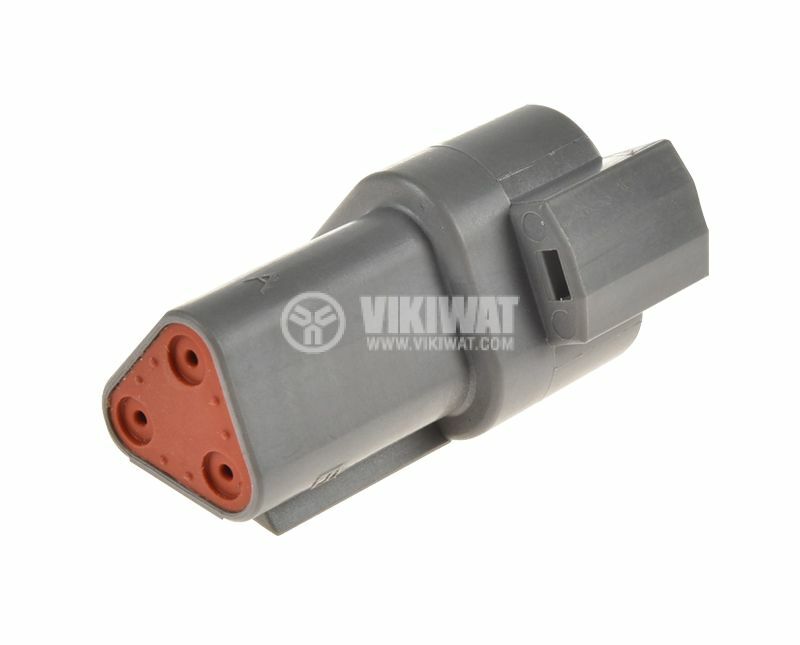 Connector DEUTSCH DT04-3P with male contacts. 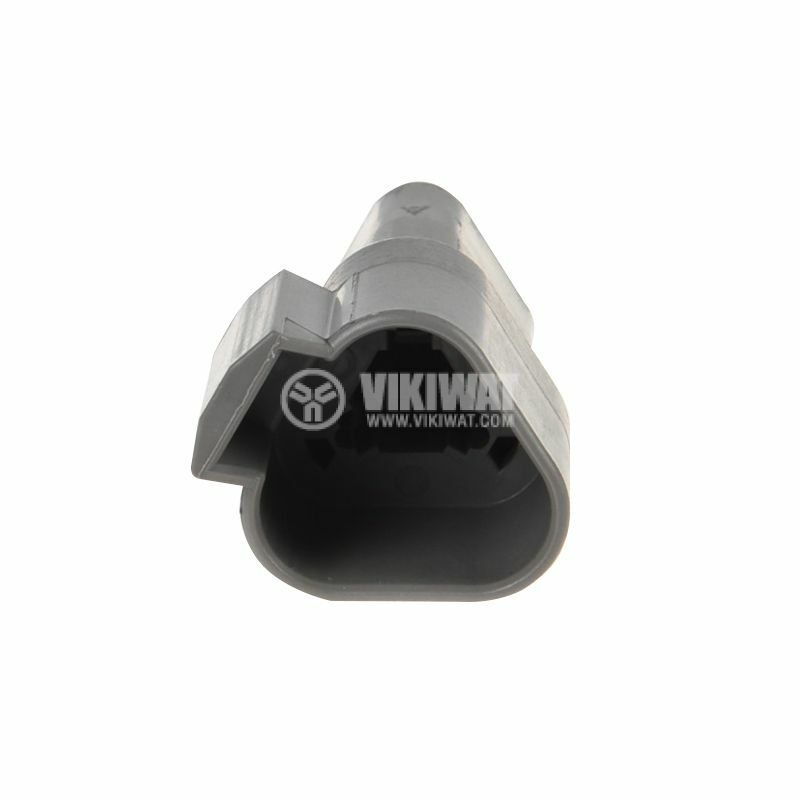 The connector can be used for cables with outer diameter 2.24 - 3.68 mm. DEUTSCH DT04-3P is easy for use with locking mechanism. It is used in cars, trucks, се използва на места където е необходим компактен и сигурен конектор, който е лесен за свързване с заключващ механизъм и гумено уплътнение. DT04-3P се използва в автомобили, камиони, refregerated trailers, generators, tractors and agricultural machinery and others. 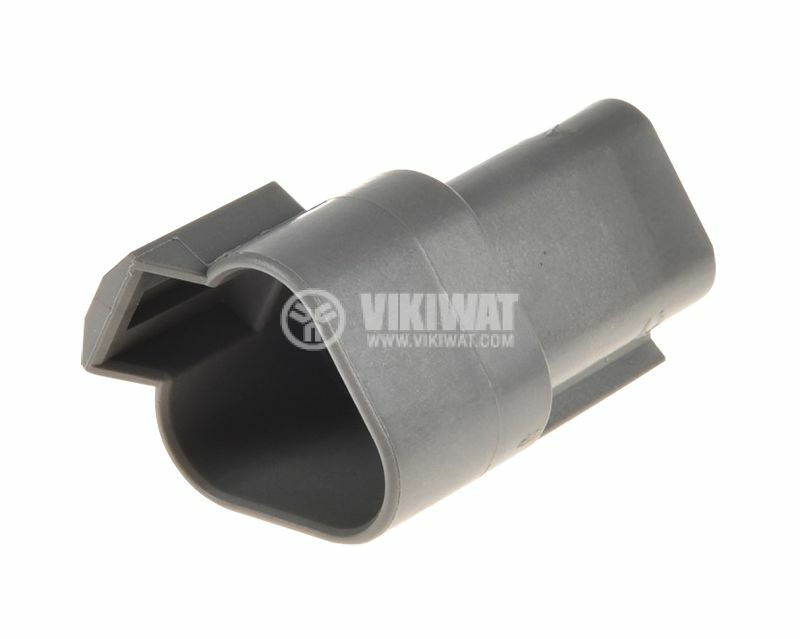 for conductors with diameter - 2.24 to 3.68 mm.